This may surprise a lot of you but most Colombian food is not spicy. I know, most people think that Latin cuisine is a lot like Mexican food, filled with those deliciously spicy sauces and seasonings, but this couldn’t be further from the truth. Food in Colombia tends to be more on the comfort side, a bit more mellow but filled with a lot of flavor. That’s why we love to use lots of cumin, cilantro, achiote, garlic, onions, tamarind, all those exotic spices that when blended make every meal a special treat. However, we do like to make hot sauce to serve as a side dish should anyone care to add it to their meal. It is almost always served in the middle of the table for anyone to grab, just like salt and pepper. 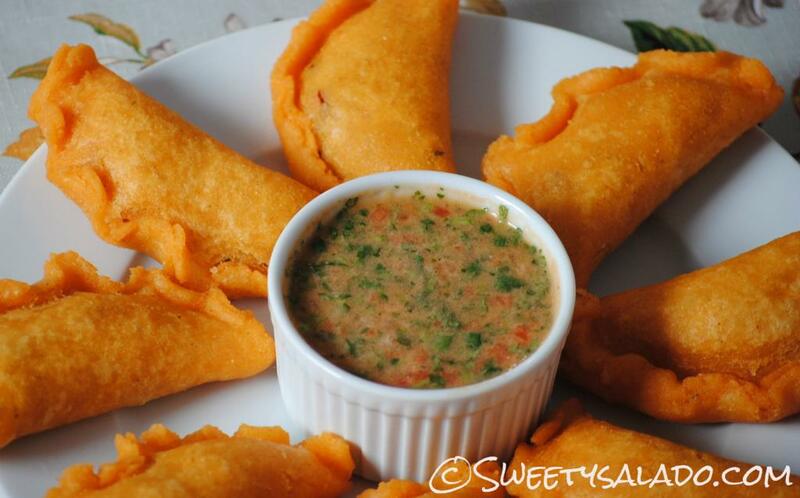 And it is always used as a side dish for Colombian empanadas. In fact, eating an empanada without hot sauce just doesn’t taste the same. For this recipe you can use any kind of hot pepper you want. I usually use one or two habanero peppers to give it a mild, spicy kick but I personally could raise it up a notch. Now, if you’re not that much into spicy food you can make it a bit lighter by using a jalapeño pepper or just skipping it altogether. It’s your hot sauce, your blender, your food, your choice. Either way, it’s still delicious. And without further ado, I present to you the recipe for Colombian hot sauce. Enjoy! 1. 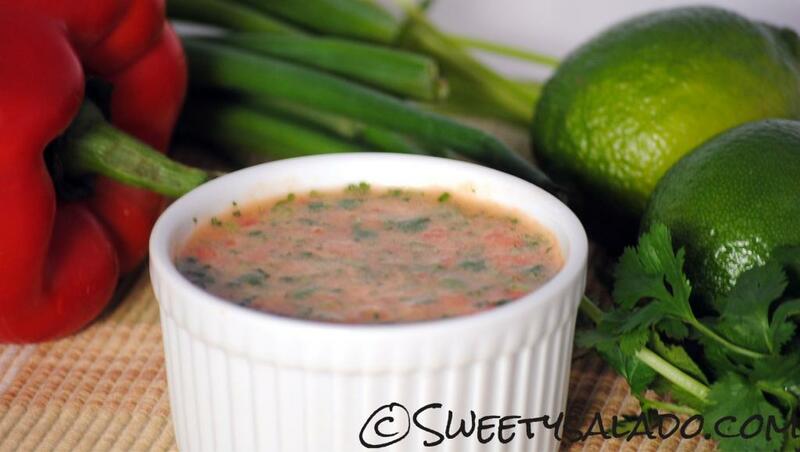 Add water, vinegar, habanero peppers, onion, sugar, oil, lime juice and salt to a blender and blend well. Add cilantro, red bell pepper and tomatoes. Pulse once or twice to mix the ingredients without blending. If you wish to have a stronger onion flavor you can add the green onion in this step instead of the previous one. 3. Serve along with your favorite dishes. Can be stored in the refrigerator for up to one week. Can you freeze the aji? If so, how long can it be stored in the freezer? Yes, you can. If you freeze it in a sealed container or resealable bag it can be stored in the freezer for up to 3 months.